Managing autonomous teams, or Super7 teams, requires a different management style than managing regular teams. From my practice as a Lean Super7 consultant, I deducted several key do’s and don’ts. 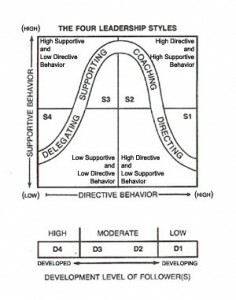 When your department introduces Super7 Operations, or other forms of autonomous teams, this may help you to adapt to the new situation you’ll face as a manager. In the following weeks, I’ll share them with you on this site (www.cooperationalexcellence.nl). This week, I give you the first two sets. Sometimes, the team manager sees problems that the team hasn’t recognized yet. A pro-active team manager might want to go and fix it directly. Fix it for the team, to help them along. However, studies show that teams that are allowed to make their own mistakes are more effective and more successful. You as a manager can warn the team, but the team must be left free to fix it or respond to it. Don’t: Leave the team alone. A team manager can let go too much. An autonomous team needs management support. They may not need detailed steering, but they do need coaching, facilitating and help in solving problems beyond their own circle of influence. Do: Offer help when the team asks for it – ask questions later. An autonomous team is capable to deliver results. Even more than the sum of what each individual could deliver. But there is a limit. When the team says they can’t do it, the team manager should help. What he can do to help depends on the specifics, but could include: add capacity, move resources from one team to another or approve lower output for that day. Don’t: Always offer help when the team asks for it, without evaluating afterwards. For example: a team indicates that they can’t meet today’s target, and the team manager accepts that some of the work is shoved foreword to the next day. The manager is right to offer help, but he should evaluate the average productivity of that day. Should it be less than normal, he/she should evaluate this with the team. And, the next time he can demand that the team steps to at least normal pace when they ask for help. I will share more do’s and don’t in the next couple of weeks. In the mean time: keep experimenting! 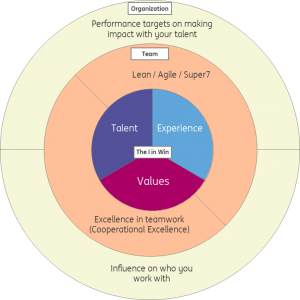 This entry was posted in Lean, Operational Management, Teamwork & cooperative models and tagged Lean, operational excellence, Super Seven, Super7, Super7 Operations, Teams on June 18, 2014 by M.R. van Dijk.